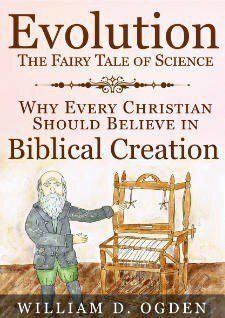 This section of the Revealed Truth website contains longer articles about Biblical Creation, Creation Science, and Evolution that were not shared as posts. The topic of origins is of special interest to me. I have always been interested in science and understanding how things work. I was raised in protestant churches so I learned about the Bible, but the churches my family attended were rather liberal and did not really believe the truth of everything written in the Bible. I also went to public schools. So I was an unsaved evolutionist while I attended college. I graduated from Yale University with a degree in Molecular Biophysics and Biochemistry. I chose that major because it included the most science courses. It included courses in math, physics, chemistry, and biology. I also took electives in astronomy, mineralogy, and quantum physics. I had to take some non-science courses, so I chose “The Philosophy of Biology” as one of my electives. At the time, the course annoyed me because it taught that evolution is not really science because it does not follow the scientific method, of observing things in the present, making predictions, and doing repeatable tests to demonstrate the validity of the theory. My junior year in college, I went through an emotional crisis when everything I had ever believed in started failing me. I looked for the meaning of life, and learned a lot about life, but I found no purpose. The only meaning I could come up with as an evolutionist was that the purpose of life is to survive and reproduce. That was not very comforting. I heard the gospel for the first time at the age of 23. Before this I never really understood why God would become a man and die on a cross. I had been told that if you do more good than bad then you will be OK. For the first time I learned that we are all sinners and have fallen short of the glory of God. I learned that we all deserve to die and go to hell because of our sins, but God made a way out. I learned that the real reason God became a man was so His death on the cross could pay for my sins, and the sins of the whole world. Jesus died physically, that I might be made alive spiritually and live eternally! Jesus came as my substitute. He died physically that I might be made alive spiritually and live eternally! I learned that all I had to do to go to heaven was confess my sin, believe in the finished work of Jesus, and trust Him as my savior. Wow, for the first time, the Bible made sense! So I trusted Jesus Christ as my savior, and I was born again spiritually by my faith in Him. As a newborn believer, I wanted to know everything I could about God and His Word. So I joined my roommate’s Bible believing Baptist church, and started reading the Bible every day. When I got out of the Navy, I went to Calvary Baptist Seminary to get a formal Bible education. I studied Greek, Hebrew, theology, etc., and graduated with a Master of Divinity degree. More importantly, I kept on studying the Bible. I have been reading the New Testament at least twice a year and the Old Testament at least once a year for over a third of a century now. When I started studying the Word of God, I quickly recognized that the Bible teaches that God created the world, the universe, and all life in 6-literal days, and that this conflicted with the evolutionary theories I had been taught. I knew that these were incompatible beliefs so I began researching the topic. 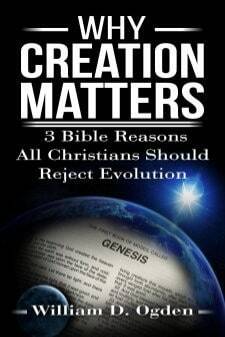 I already knew about evolution, so I read “The Genesis Flood” by Whitcomb and Morris and other creationist literature, subscribed to creation magazines, and I attended some creation conferences put on by the Institute of Creation Research. So I have been studying this topic for over 33 years. More recently, my research has gotten easier with the addition of the Answers in Genesis ministry and creation museum, and the easy availability of information online.